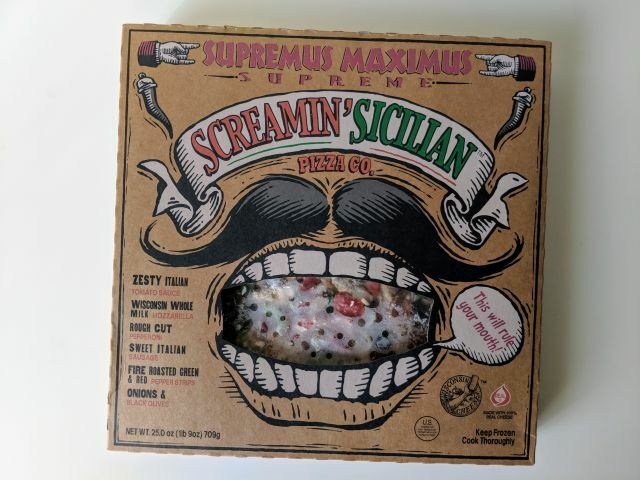 Screamin' Sicilian Pizza Co.'s Supremus Maximus Supreme Pizza features Italian tomato sauce, Wisconsin whole milk mozzarella, rough cut pepperoni, sweet Italian sausage, fire roasted red and green bell peppers, onions, and olives on a medium stone-fired crust. I bought one on sale for $4.99 (they're normally $7 or so). 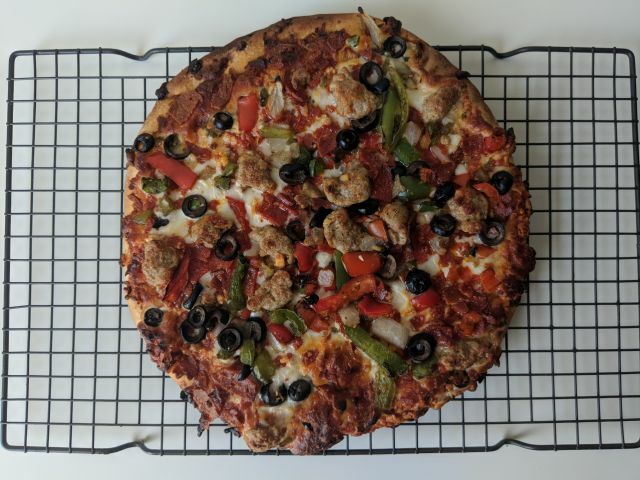 What stuck out with the Supremus Maximus was the abundance of toppings, especially the giant chunks of sausage which had a juicy, squishy feeling to them as well as an enjoyable seasoned flavor. The meatiness is buoyed by the rough-hewn pepperoni, which was at times crispy or soft varying with the cut. The veggies turned out pretty well with lightly sweet notes from the peppers and onion. The cheese was nicely melted with a decent bit of stretch. It wasn't plentiful but there was enough of it. The sauce underneath was similarly adequate with a robust tomato quality. 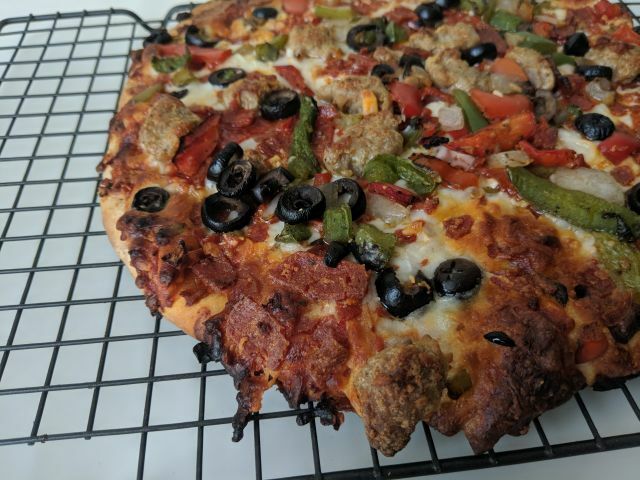 The crust was crisp with a soft interior but, like a lot of frozen pizzas, never quite delivered on that elusive fresh-baked feel. 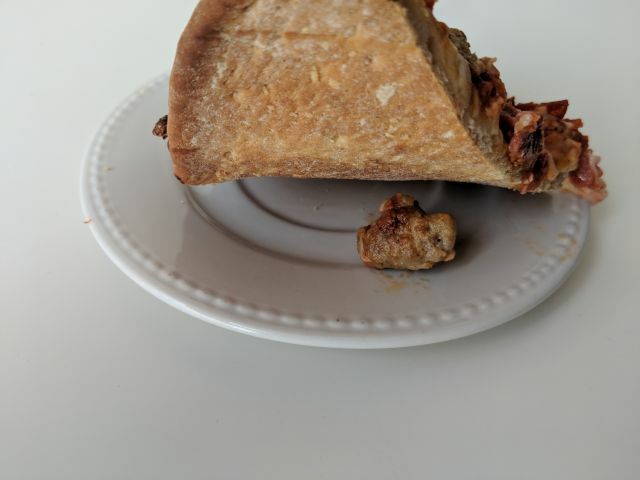 It's a fairly thick crust. 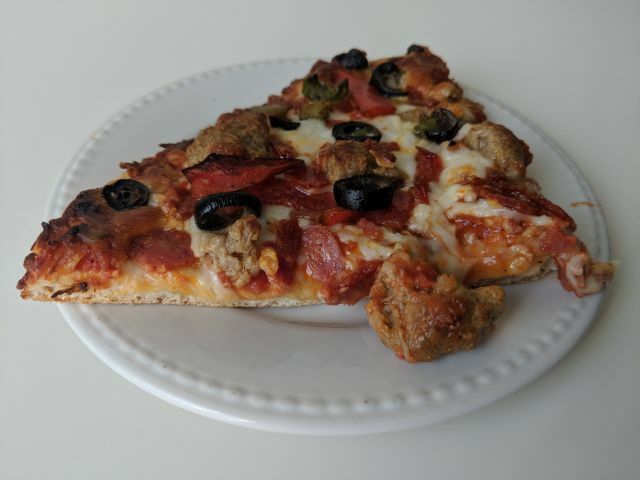 Overall, Screamin' Siclian's Supremus Maxiumus Supreme Pizza offers a tasty and flavorful combination of toppings on a decently solid crust.